When it comes to your luxury car, it deserves the best of everything including car batteries. Do not be like most drivers who only start asking how to know if car battery needs to be replaced. Bring your European car to iAUTOHAUS for a battery diagnostics and maintenance. We have built a reputation in Arizona and its surrounding of providing all clients with top battery services at the best prices. Whether you are looking for car battery installation, car battery replacement, or battery maintenance on your European car, you will find it all under one roof at iAUTOHAUS. The best part is that we offer free battery testing. Schedule battery testing or replacement on your luxury vehicle in Arizona today. At iAUTOHAUS we are a BOSCH authorized service repair center and you can be sure you will get nothing but the best services from our staff. We only have ASE Certified technicians to ensure our clients get nothing but the best quality car battery service and replacement. When dropping off your luxury car, do not worry about how you will get home, we offer free shuttle service for all clients. That is not all, we wash and vacuum your European car after each repair. 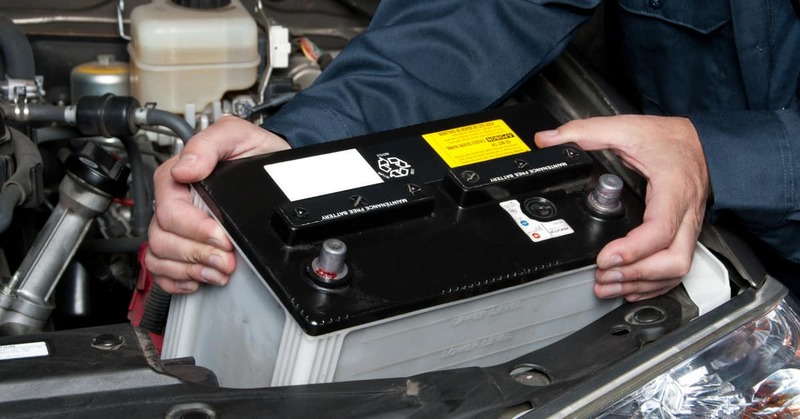 If you own a BMW, Jaguar, Land Rover, or Mercedes Benz, give us a call to schedule your battery service today. Not only do we offer auto battery replacement services, we are also a pre-owned luxury vehicle dealer. Do not wait until it is too late if you notice any of the above signs do not hesitate to bring your car to iAUTOHAUS in Tempe, AZ for a free battery testing. How Do You Prolong the Battery Life? After having your battery replaced, our knowledgeable technicians will offer some advice on how you can prolong your battery life. You can prolong the battery life by ensuring it is serviced on a regular basis. This can be done by performing a battery test to find out how much more life the battery has in it or it is finally time to replace the battery. To prolong the battery life you can unplug power adapters when you are not using the vehicle. You can also clean the terminals of the battery to prevent corrosion. Our technicians will also advise you on how often to replace the car battery. 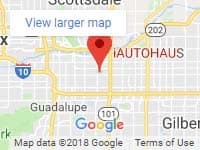 If your battery is failing you and you are in Arizona and you are looking for car battery replacement near me, bring your car down to our state of art facility in Tempe. No need to worry about where to get car battery replaced. At iAUTOHAUS, we have an inventory of batteries for owners to choose from. We also offer a car battery replacement service at a very competitive price. Call iAUTOHAUS at 480-317-0777 today or visit our offices to book an appointment.